Are You Addicted to Flakka? Flakka, also called “gravel” due to its appearance, is a synthetic derivative of the naturally occurring cathinone found in the Catha edulis or khat plant. Flakka is similar in chemical structure to drugs known as bath salts. Signs and symptoms of flakka addiction. How to pay for addiction treatment. Short- and long-term effects of flakka addiction. Who Answers? to get help finding a flakka addiction recovery program. A representative can verify your insurance over the phone. Taking more flakka than you initially intended to. Trying to quit using flakka or thinking about quitting often, but not being able to stop using. Spending a lot of time consuming or trying to obtain flakka. Neglecting responsibilities at home, at work or at school due to using flakka. Craving flakka when you are not using it. Using flakka exacerbates health problems, but you or your loved one continues using anyway. Using flakka in situations that could be dangerous or even life-threatening, such as while driving or when you’re working at a job where your attention is required to prevent injury. Giving up activities that you once enjoyed to use flakka. Noticing that you are using more flakka to get the same effect or that the same amount of the drug does not have the same effect that it once had. Experiencing withdrawal symptoms when you stop taking flakka. Excessive sweating or abnormally high temperature (hyperthermia). Signs of psychosis – e.g., hallucinations and paranoia. Flakka is a synthetic stimulant drug that is gaining popularity in certain parts of the United States. Reported side effects include hallucinations, paranoia, and hyperactivity. Police reports have documented bizarre behavior in users including self-impalement and running naked through the streets. Read the full forum post. Covering the cost of treatment can be one of the biggest challenges for those seeking substance abuse treatment. Here are some options for paying for treatment if you don’t have insurance. If you have insurance, skip to the next section. Payment plans. Most facilities will help you come up with a payment plan. Although interest may be added to your balance, this may be the most feasible option for you or your loved one. Scholarships. Some facilities also will consider taking on a certain number of “charity” or scholarship cases. This is rare, but it’s worth asking each facility if they provide options beyond what insurance will pay. Crowdfunding. Websites such as GoFundMe.com provide a way to seek donations from family, friends, and people all over the world. Low-cost or free programs. Contact the helpline at the Substance Abuse and Mental Health Services Administration, or SAMHSA, at 1-800-662-HELP if you are uninsured and would like information about treatment options. The state where you live. The level of health care coverage you have. How long you choose to remain in treatment. The type of facility you choose. Whether the facility is in network or out of your insurance network. Call 1-888-319-2606 Who Answers? to speak to one of our representatives about insurance coverage and paying for treatment. Accreditation: Finding a facility that is accredited ensures that the facility is providing the most up-to-date, evidence-based forms of treatment for substance abuse and mental health. It also assures you that the organization is accountable to a third party for maintaining high standards of practice. The Commission on Accreditation of Rehabilitation Facilities and the Joint Commission are two such accreditations to look for. 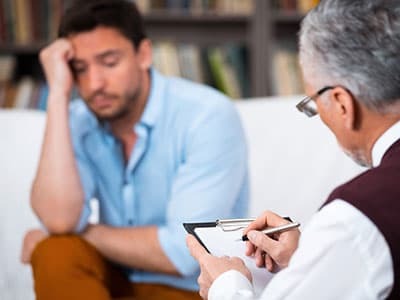 Dual diagnosis: In 2015, the Substance Abuse and Mental Health Services Administration (SAMHSA) reported that 8.1 million adults had both substance abuse diagnoses and mental health diagnoses. 4 If you or your loved one has also been given a mental health diagnosis for depression, anxiety, or bipolar disorder, look for facilities that offer dual diagnosis treatment. Dual diagnosis facilities offer simultaneous mental health and substance abuse treatment, which is crucial for many people to be successful in their sobriety. You or your loved one can seek one of several levels of treatment for flakka dependence or addiction. Each facility will offer different amenities and treatments, so it is important to contact each one that you’re interested in prior to making the financial commitment for treatment. Detox: Detox facilities can help you or your loved one through the acute withdrawal symptoms that will occur during the first few days to a week after you decide to quit flakka. Interventions may include medication therapy, group therapy, individual therapy, and recreational therapy. But the primary focus will be helping you or your loved one transition out of the withdrawal stage of treatment in the safest and most comfortable way possible. Partial hospitalization programs (PHP) or intensive outpatient programs (IOP): Remaining abstinent from substances after detox can be difficult without proper support. Triggers in your immediate environment may prompt relapse. PHP and IOP programs can help you smoothly navigate this transitional phase. You can expect group therapy to be the primary focus of any PHP or IOP program, but some offer weekly family sessions and individual sessions as needed. PHP is a full-day group therapy program where medications are prescribed and monitored. IOP is a half-day group therapy program where medications are managed by your outside provider. Residential treatment facility: Residential treatment ranges from 28 days to several months. These facilities typically provide comprehensive care, including individual therapy, family therapy, group therapy, classes on nutrition and a healthy and balanced diet, assistance on lifestyle changes, and exercise and relaxation classes. Some facilities may transition into step-down levels of care, including PHP and IOP. These facilities can greatly vary in price and location, so speak with someone who can help you make a decision that is within your budget but also meets your treatment needs. Effects range from moderate to severe and life-threatening. The medical community is still trying to understand the short- and long-term effects of flakka and other synthetic cathinones. Most of what is known about flakka has been gathered from reports of physicians working in emergency rooms and psychiatric hospitals. Heart palpitations and tachycardia (rapid heart rate). Shortness of breath or shallow rapid breath. Breakdown of muscle tissue that releases harmful proteins into the blood (rhabdomyolysis). Kidney damage (as a result of rhabdomyolysis). Abnormal liver function and liver failure. Heart disease and heart attack. Contact one of our representatives today at 1-888-319-2606 Who Answers? for assistance in choosing a treatment program that is right for you or your loved one. The representative can confirm your insurance coverage over the phone and offer treatment options based on your coverage.
. Gussow, L. (2015). Toxicology rounds: Flakka: Illicit drug triggering bizarre behavior. Emergency Medicine News, 37(11), 24.
. Prosser, J. M., & Nelson, L. S. (2012). The Toxicology of Bath Salts: A Review of Synthetic Cathinones. Journal of Medical Toxicology, 8(1), 33-42.
. National Institute on Drug Abuse. (2016). What are synthetic cathinones?